San Francisco-based private financial group provides financial advisory services to North American mining and natural resource company. SAN FRANCISCO, JUNE 2018 – US Capital Global is continuing in its advisory role for Eagle Graphite, a mining and natural resource company. 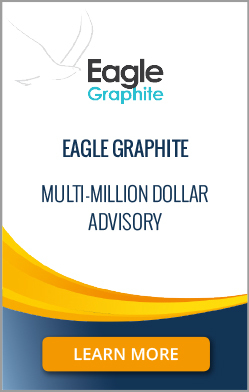 Listed on the TSX Venture Exchange under the symbol “EGA” and on the Frankfurt Stock Exchange under the symbol “NJGP”, Eagle Graphite owns the Black Crystal graphite quarry, one of only two natural flake graphite quarries in Canada or the USA. Eagle Graphite recently completed its first stage of financing an expansion of its project with an oversubscribed equity financing. 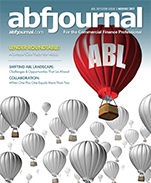 US Capital Global is a full-service private financial group headquartered in San Francisco. Through its investment bank affiliate, US Capital Global Securities, LLC, the firm provides private placement and capital raise services and has wide distribution for debt and equity private placements. Eagle Graphite’s Black Crystal project includes two mining leases with a combined area of 300 hectares, valid until 2032 and renewable thereafter. The project is strongly supported by local communities, who with a long history in mining, serve as a ready skilled work force. As graphite is a non-toxic and non-reactive substance, Eagle Graphite’s already light carbon footprint is further enhanced by its water recirculation practices, which minimize energy consumption, and by the use of hydroelectric power drawn from the Columbia River Basin.